Being at the end of a wedding proposal has to be one of the biggest moments in a person’s life, so it makes sense for you to try to make it as impressive and unforgettable as possible. It can be very difficult to come up with something original but at the same time not to go over the top. You want your partner to say yes of course and maybe shed a tear or two. You do not, on the other hand, want them to head for the hills. Here are 8 top ideas that you can put your own slant on and make them unique. 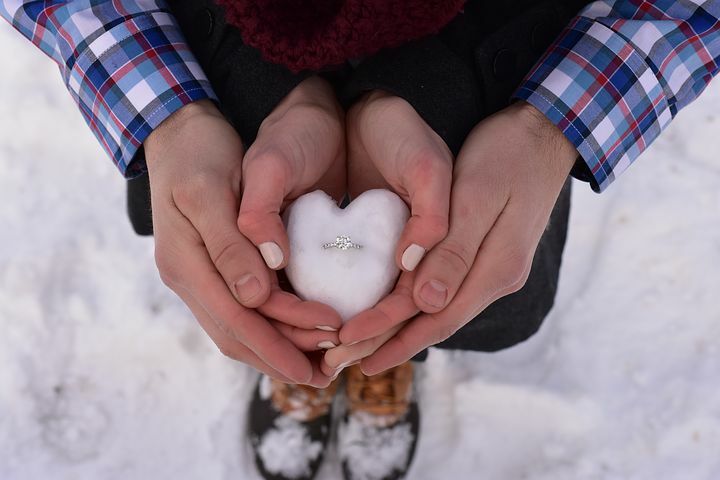 A Scavenger Hunt – make your proposal a treasure hunt with your choice of moissanite rings as the best prize ever. Make the treasure hunt as grand or as simple as you want it to be and you can ask friends and family to help guide your partner as well. Photoshoot Proposal – with all the planning you’re doing you want your proposal to be memorable, but you can help yourselves remember by catching the moments with a camera. Alternatively, hire a professional photographer to take those memorable snaps. A Beach Proposal – the beach is one of the best places to propose. Who wouldn’t love their partner getting down on one knee with the sound of the ocean in the background or finding the proposal in the sand? Create a Milestone Movie – this is something you can easily do yourself with the help of your smartphone. All it requires is a little imagination and creativity. One good idea if you’re feeling stuck is to record a video of places that are special to you as a couple. While you’re making the recording, you can tell her why the places are so special to your relationship. Propose with Friends and Family – if your partner has a close relationship with their family it could be a great idea to get them involved as well. You’ll have no problem finding likely candidates, but you need to be sure those involved will be able to keep the secret. Get Your Fur Babies Help – with the help of your favorite pet pop the question and your partner will be speechless with the cuteness of it all. Take a Walk Down Memory Lane – set the mood for your walk down memory lane by having a specific song playing in the background. Gather together a collection of photos of you and your partner and present them to her in a beautiful box. On the back of each photo, you could write a loving message, with the last one having the ultimate question on the back.